Business Finance is an ever-growing market, with several innovative options available for small businesses today. Merchant cash Advance is one such innovation. It is basically cash that is given up front against repayment through a portion of future credit card sales. So, where the small businesses look for business funding to replace outdated machines, expand their business, finance purchase of new equipment, introduce new products/services, Business Cash Advance should be considered as an option. Typically, businesses such as Bagel Shops or Corner Shops are unaware of alternative options for loans. Generally, banks work completely based on credit history. This means that your small business or new business should have the credit worthiness to qualify for any kind of financial assistance from the bank. An unsecured business loan will be granted if your credit history- adequate cash balances in your account, quick and full repayment of dues etc. is perfect. Not everyone has the perfect credit score and is able to wait for the approval of a bank loan. Small-time businesses face several pressures to survive or in some cases to beat the competition. In the process to overcome those hurdles, they need working capital to cover those costs and most of the times the need is immediate. The merchant cash advance works very well as an alternative since it provides you the cash quickly allowing you to continue your day-to-day operations. Credit Card Factoring as it is often referred to (not to be confused with the illegal one where a duplicate merchant account is used for transactions) works very well when you are short on time and have the credit card sales to be able to repay the advance. For instance, Food trucks have tremendous sales through cards (at lunch time or snack time) but to make changes in their equipment, they need cash. What Kind Of Businesses Qualify? Your business is in urgent need for working capital. Your bank account is in an NSF status which means that you do not have a cash balance in your account. Having insufficient funds (cash) will not qualify you for a Bank Loan easily. You are in a brand-new business and have not had time to set up your credit trustworthiness. You have a history of credit card receipts to prove that you can repay the cash advance. 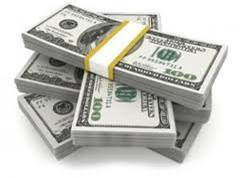 One of the biggest advantages of taking a business cash advance is the speed with which you can use the cash. Most of those who provide such loans will be able to give you the cash within 24 hours, maximum of 48 hours. Typically, the people who opt for such loans are the one who is looking for a quick cash infusion to the business. In such cases, merchant cash advances work the best. The documentation as mentioned is minimal and hence no fine print. You do not have to worry about working out the interest rates and the final cost of the loan to your business and neither must you read through the loan terms. It is straightforward and easy to understand. Repaying the advance is not like your typical loan repayment where you worry about having to pay a certain sum every month. This advance allows you to repay the sum through your credit card sales. While some months may be good allowing you to repay more, the month’s where your sales are not great, it will be lower. The best part of such an advance is that your credit score or your credit history does not matter. Involvement of the bank involves many procedures. Depending on the kind of loan you prefer, if a collateral is involved, you may have additional processes. So, unlike commercial loans doled out by banks which are based on your financial standing, the advance is much easier to get. A huge advantage of these advances is the 1st position, 2nd position, 3rd position and so on. These positions simply refer to when a business is unable to pay the first cash advance. To take a new or additional advance they will need to approach a funder who is willing to buy the initial amount and give a new advance.